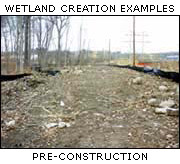 Assistance in the areas of wetland delineation and permit processing involving activities in both tidal and freshwater areas are particular specialties of the firm. 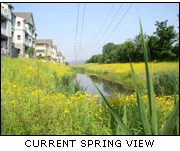 Our landscape architects and wetland specialists are adept at developing mitigation plans that meet the requirements of the US Army Corps of Engineers, the New York State Department of Environmental Conservation and local agencies. 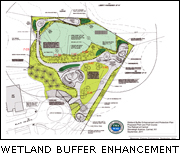 Mitigation plans including location, size, grades, specification of landscape species, required hydrology, and erosion control programs are also provided.